The safety and stability provided by autonomous vehicles can make insurers question the benefits they provide the industry. A recent study by Accenture and Stevens Institute of Technology estimates more than 23 million autonomous vehicles will be on U.S. roads by 2035. Throughout the next few years as we make this shift, the process for developing insurance premiums must be adjusted to accommodate new technology and capitalize on near-term opportunities. “Insurers are bracing for long-term declines in auto premiums as new and safer autonomous vehicles gain adoption. However, our research suggests that auto premiums will increase before they decline on this trend, so insurers that can navigate the changing technology environment could win market share,” said John Cusano, global head of Accenture’s Insurance practice. Autonomous vehicle manufacturers and service providers will have to drive the development for vehicle movement and traffic flow infrastructure, including cloud server systems and external sensors. During the development stages, any of these services could experience a technical failure resulting in damage to vehicles and passengers, increasing the premiums for insurance providers. In addition to traditional driver policies, insurance providers will have to account for cybersecurity issues, such as vehicle theft, unauthorized vehicle entry, and hostage situations involving ransomeware. 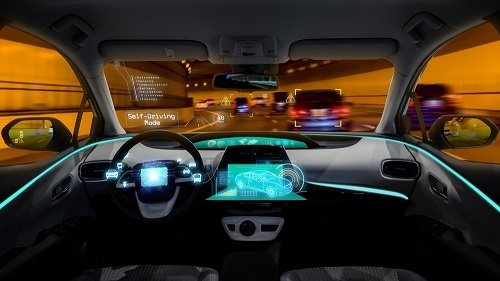 In addition, insurers will need to offer protection against misused information stolen through connected vehicles, as well as policies protecting owners against vehicle hijacking. Manufacturers also will need additional coverage for communication, hardware, and software malfunctions, including internet connections, software bugs, overloaded memory, algorithm deficiencies, disabled cameras, radar, and more. It’s imperative for insurance producers to understand and actively prepare for this industry transformation by updating business models to convert on the potential $81 million in opportunities. Download the complete report from Accenture and Stevens Institute of Technology for additional insights into the changing automobile insurance market. If you’re interested in learning more about upcoming trends in the P&C insurance market, subscribe above for complimentary resources, including blogs, ebooks, infographics, and more.